Most business rely on digital medium advertising, and use either Google Adwords or Facebook/Instagram Pay-per-click or other social advertising. If you are reading this, you most likely are already, or heavily researching looking for a Digital Marketing Training Provider to give you the practical skills or training centre to do this yourself. Our PPC Coaching sessions could be exactly what you need. Digital Marketing is essential for every business, finding the right person to manage is a minefield. Maybe you have been suckered by a Facebook funnel campaign; the guys who claim to have made millions and are willing to share their secret. Or perhaps you answered one of the many calls and emails from agencies trying to take the business, a usual sign that they are client-burners who do a poor job. The only sure-fire way is word of mouth recommendation, which is more than likely why you are here as that’s how we prefer it. Other key things to consider: If you are using a big agency you are likely paying a percentage of ad spend, so where is their incentive to do the best for your budget? They will also likely have another company in your sector, but don’t see it as a conflict of interest of course. If you are using a smaller agency you are unlikely to be the only client, so how do you get the attention you need and deserve? If you are using an agency full stop how do they understand your business? Are they even doing the work, or white-labelling to a smaller fish and pocketing the difference. Due to non-disclosure agreements, you’ll never know if this is happening but it is commonplace. In truth, it’s rare to find someone who is as equally talented at sales as they are PPC. Chances are, you are speaking to a front man who well promise you the world. If you are managing the ads yourself, how do you keep up to date with best practise? Or get best value for your advertising budget? Are you missing out on crucial methodology and technology? No-one understands your business better than you. No-one knows your customers so can write better Ad Copy than you can, you just need to know what technique gets the best results. And being brutal, you care about the results more. So think how powerful you could be if you joined your knowledge and understanding of your own business, with someone who can teach you how to utilise your advertising potential. It does not take long to become an expert, it’s just a case of learning the fundamentals and successful strategies that work. Digital Marketing is very trainable in a short space of time, especially if the interest levels are present in the trainee. What is covered and what is the best for my company? In a simplistic way Google Ads main strength is reactive response to search terms. Social is instead pro-active in advertising to people who have not started looking yet. Well we were corporate trainers and people leaders before we ever became Digital Marketers. So we are natural teachers who genuinely get a buzz of seeing our trainees learn and grow. This is not a one size fits all group training session, where you sit in a room with loads of other people and look at accounts that have no meaning or relevance to you. And because we are now Digital Marketing experts, we can effortlessly educate you to our standard and have a proven track record for those trained. These are one-on-one training sessions about YOUR business. We do the work on your accounts together, improving your results and applying both our respective knowledge to maximum results. We adapt our training style to suit your needs, something that can never be done with multiple trainees. We go at your pace of learning, not because we have a deadline. We also skip out all the unnecessary modules you know already, or are not relevant to your business. And when you get glassy-eyed, we stop for a break. This is a training session for you alone, where the aim is to teach you the most relevant information so you get the most out of it. It’s irrelevant if you are a complete beginning, intermediate or advanced. The training is centred on your needs, and the sessions are completely flexible around the attendee. Prior access to your account is useful but not essential. If we have access, we can look in detail at your set-up. This just maximises our training time, and you get a free audit too. We always want to provide value in what we do. Then the beginning of the training session is understand yours or the trainees knowledge levels, and importantly what you want to learn and gain out of it. Then we establish what learning style is required and adapt accordingly. Our laptop is plugged into a big TV so you can see exactly what is happening, and then we mix theory and practise, where you make the changes to re-enforce the knowledge. This is not you staring at a presentation for hours wishing you doubled that espresso. It’s interactive learning of practical skills more like a coaching session. The purist in me says we never stop learning, but this depends on knowledge levels before starting and where you want to be. A full day session is minimum but some attendees have been having weekly sessions for 6 months and have booked the same for the future. It’s all down to individual needs. If you want but we charge the same so you may as well be there to learn what is being done, but if your time is valuable then check out our Digital Marketing Services page for more details. Visual learners learn build comprehension by what they see and through pictures and images. Training for visual learners can be tailored to include presentations with diagrams, videos, and charts. Auditory learners are excellent listeners for spoken and lecture-type teaching. This type of learner prefers speeches, audio recordings and lectures. These individuals learn best through examination of text and case studies. Training for reading/writing learners includes manuals, handouts, quizzes, and presentations. Kinesthetic learners expand their comprehension through their senses, so enjoy hands-on activities like simulations or walk-throughs. Useful sessions could include building or working with physical objects. The mathematical learners learn from studying whole systems, patterns, and high-level concepts. Drawn to spreadsheets, grapps or multi-step methodologies, logical learners respond well to training that includes multiple concepts. Interactive learners are strong at understanding the feelings and motivations of others. They thrive on team learning activities, role-playing, and group discussions. Solitary learners focus on self-reflection and introspection as their prime way of learning. Training should be tailored to work through the content at their own pace, and allow independent learning. From experience it is advised this is not in your work space due to distraction and privacy from interruption. Even with a designated training room, mental detachment for full focus is best achieved by separation. We have training space in Hangleton that can be used which is walking distance from Portslade or Aldrington Station. We also have the facility to hire training space directly next to Hove Station at Freedom Works, which is on the Brighton to Worthing line, but also has a direct line to London. This location is close to the Old Shoreham Road (A270) and parking is available at the Goldstone Retail Park. Previously I have tried some big agency PPC Training, Last year I had paid huge sums of money to be in a classroom full of people up in the Shard in London, but it was all for show. I came out of the days training feeling deflated as I was actually told I knew too much about PPC adwords for the course, which just simply was not the case. I took a gamble with a local company in Brighton and I learnt more in the first hour than I had in the whole of the other training sessions, when we covered search terms which is such a crucial part of PPC for my account. Ciaran is a gifted teacher, who really wants to help me to learn. I feel like I have had huge value for money as he quickly established my level and knew how to complete the gaps for me. He was able to explain things in a way I could understand which was amazing, and we expanded into social media advertising training. The results speak volumes. Before the training, sales were down 30% and our business was struggling. With Ciaran's help we restructured the account and cut out thousands of pounds in wasted spend. This has enabled us to continue working with him and now sales are up 60% and we are having our best ever results. The change is phenomenal, and we have found the perfect balance in his expert knowledge of digital marketing and eCommerce and my own knowledge of our industry, He is more than just a Digital Marketing expert, he is a brilliant trainer who quickly puts you at ease. He is also an eCommerce business owner so has given me help and advice far beyond what he was initially hired for. 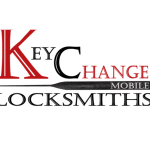 We run a locksmith in the Sussex area. Our business was struggling due to the jobs we were getting just covering Google bills due to national companies taking all the business. Work was non existent without it so we felt lost. We were following advice from our Google ad manager so could not understand how results were not as good as we wanted. We booked a session with Ciaran , who instantly grasped our business and our needs. He quickly restructured our campaigns and cut out all the wasted spend as Google were giving us bad advice. We then worked together on Ad creative and the difference has been outstanding and we are finally making money. it's no exaggeration to say that this PPC training has saved our business. 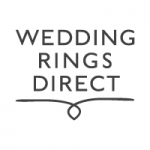 He set things up in a way that it's all clear to me and I can easily manage it myself, but he's always happily on hand for any questions which I think is just fabulous service.